Riding motorcycles is definitely one of my favorite things in this world. There is nothing like hopping on my bike and cruising in to town or hitting some twisties. Every motorcyclist knows that he/she needs several things before they are truly prepared to ride. A helmet, protective jacket, and a solid pair of gloves are the three items, in my opinion, that are essential to every rider. Today we are going to check out the Iron & Resin Elk Bobber Gloves. My motorcycle is all black. Both of my riding jackets are all black. My helmet is all black. It only makes sense that I ride with black leather gloves. The stylish Elk Bobber gloves are constructed from black 100% Premium Grain Elk Hide leather. With only three main components: the leather, stitching, and metal anchor piston rivet; the Elk Bobber gloves are very simple. Their simple design, rolled cuff, and no-nonsense feel are my favorite things about them. Iron & Resin has done an excellent job combining performance, comfort, and durability into this attractive leather glove. The Elk Bobber gloves have been my primary riding gloves for several months now. The comfort level is far above any other riding gloves I have worn. The seams do not bug my fingers or rub them raw, I have adequate squeezing range of motion, and the length is suitable for wearing under a jacket and also comfortably without one. I have encountered one small issue with these stunning gloves. After longer periods of use, the black dye in the leather rubs off into your hands, and is frequently difficult to remove. To many this may seem petty, but if I’m going to show up to meetings or work, I cannot have black all over my hands. Over time the severity has significantly decreased, but know that it is something you will have to adjust to/prepare for during the beginning of the Elk Bobber’s life. As I said before, the Elk leather is some of the softest, most comfortable leather I have worn. The gloves have already formed to my hands and started to develop the worn, masculine look. I have several riding friends who have tried these gloves out, and even purchased some themselves. 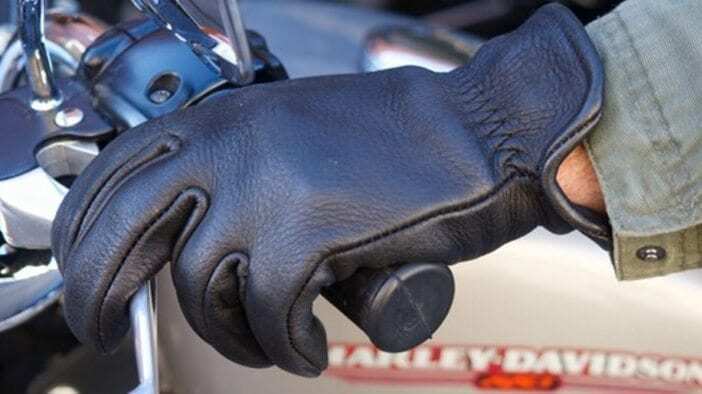 They are truly an attractive, solid addition to any motorcyclist’s riding gear, whether they ride a street bike like myself, or a classic Harley. It is obvious that passion, time, and superior materials went in to the making of the Iron & Resin Elk Bobber gloves. Even though the gloves do leave a few black marks during the “new” stage, it is a small price to pay for such, comfortable, attractive, and capable leather gloves. At $72.00, the Elk Bobber is a reasonable investment that will absolutely last a lifetime of riding. 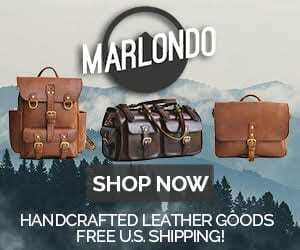 Head over to Iron & Resin’s website to check out their other leather gloves, and even some other hand built lifestyle goods.